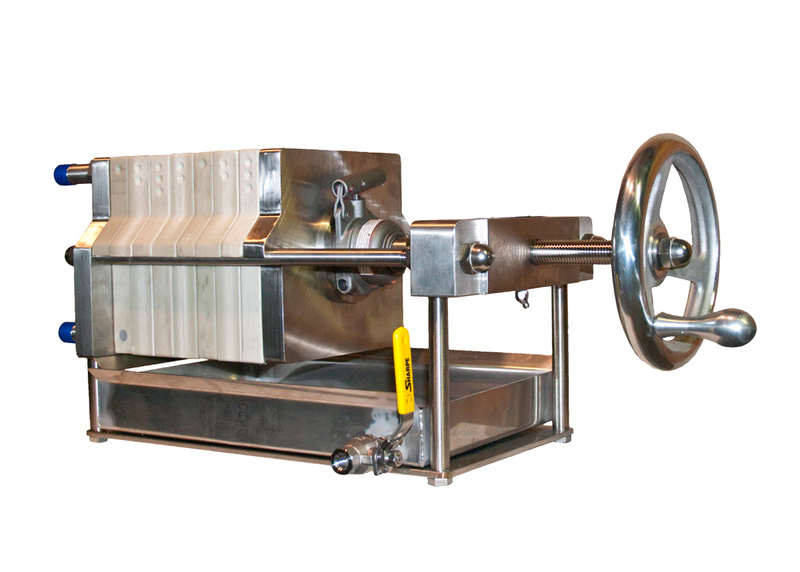 The EA Series Lab Filter Press provides a simple reliable method of high compaction pressure to compress and dewater solids. This series of filters is designed for the laboratory, new product and process development, testing, scale-up and small volume production. Filter cloth or filter paper changeover can be accomplished easily and in a minimum of time. These small but powerful filter presses are also equipped with a 5 ton hand hydraulic jack as a standard feature.